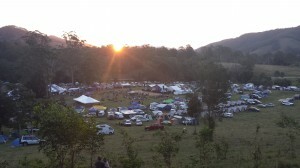 We’ve had a really busy couple of months – travelled to some great festivals, including the Mitchell Creek Rock n Blues Festival just outside Gympie, the Great Southern Blues Festival in Narooma (about 5 hours south of Sydney) and GrottoFest in Marburg Queensland. Get Rooted – a cigar box guitar festival – will be on again at the Royal Mail in Goodna, Brisbane. 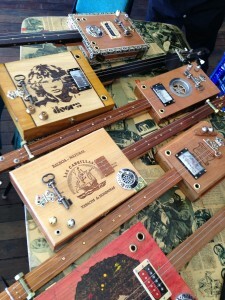 Come and join other cigar box guitar enthusiasts for a day of music and workshops. Both Moondog Gypsy Blues Band and I will be performing and I’ll also be holding a ‘how-to-play’ cigar box guitar workshop. My one hour workshop is an introduction to the slide cigar box guitar so bring along your 1, 3, 4 or 6 string instrument and join in the fun (fretted instruments are also welcome – just bring a slide). If you don’t have a cigar box guitar, there will be ones available to play on the day. 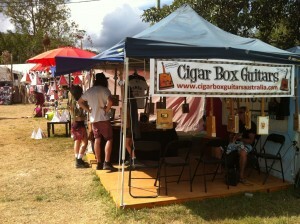 I’ll be at Woodford again this year from 27 December to 1 January with my cigar box guitars. 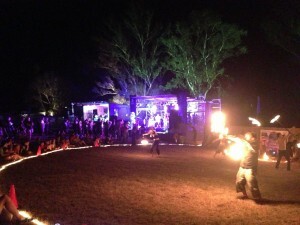 It’s an amazing festival and I can’t wait to be part of it again! 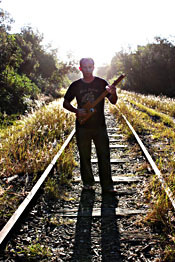 Pat Curley has done some great work on his website – http://www.learncigarboxguitar.com/ – check it out. 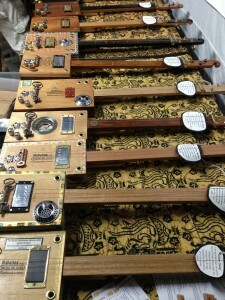 There’s some awesome packages to get you playing your cigar box guitar in no time at all.